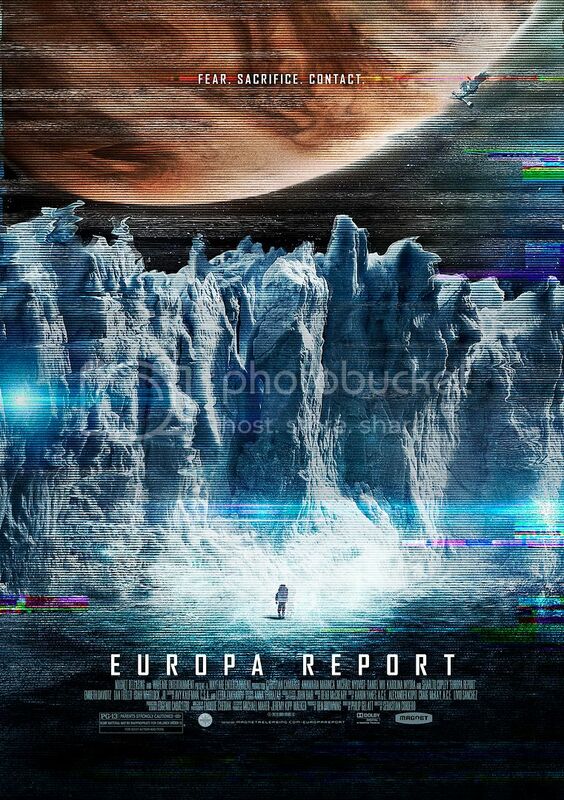 Europa Report poster and stills ©2013 Magnolia Pictures, all rights reserved. In 2007, new NASA research suggested that underneath the vast ice sheaths of Jupiters moon Europa lay oceanic water, which is a key element to support life. The Galileo probe, which had been orbiting the moons of Jupiter since December of 1995, was constantly orbiting and swooshing near the sixth largest moon in the solar system, collecting pictures and data that could prove the existence of liquid water. Then in 2011, scientists hit a proverbial jackpotevidence for two liquid lakes the volume of the North American Great Lakes underneath a region of jumbled ice blocks termed the Conamara Chaos. Even in the wake of such exciting discoveries, critical budget cuts severely threatened NASAs space program, including the Mars rover and Cassini spacecraft orbiting Saturn. This same time frame gave concurrent rise to private space travel, led by the commercial venture Virgin Galactic and ambitious research company Space X. The merger of limitless industry resources with the possibility of uncovering alien life seems like a perfect Hollywood pitch. Such is the scenario explored in the brilliant documentary-style sci-fi thriller Europa Report. A full ScriptPhD review under the continue reading cut.